$6 Miilion Sire. 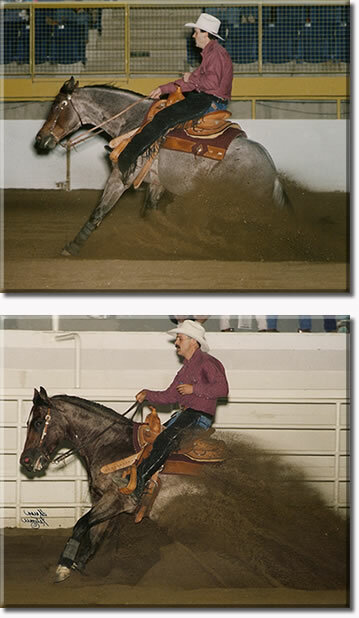 AQHA World Champion-Sr Reining and Sr Cutting, LTE- $129,774, NRHA -Three Million $$ Sire; NCHA Two Million $$ Sire, 2003 NRCHA- $ 1 Million Sire. 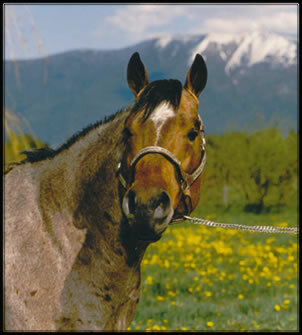 Smart Little Lena The all time leading sire of NCHA get- earning over $26 million. Gay Sugar Chic Sired by Gay Bar King, #8 Leading NCHA Maternal grandsire. Red Road mare. She is an AQHA Performance ROM. Once in a great while a horse comes along that has that little something different - that something special. All Reddy Smart (Tucker) struck that nerve when we saw him for the very first time. We were looking for a stallion prospect with pedigree, conformation and hopefully, the ability to perform and above all pass these on to his offspring. Along with these very foundation characteristics, we also wanted a stallion with the look and a super mind. 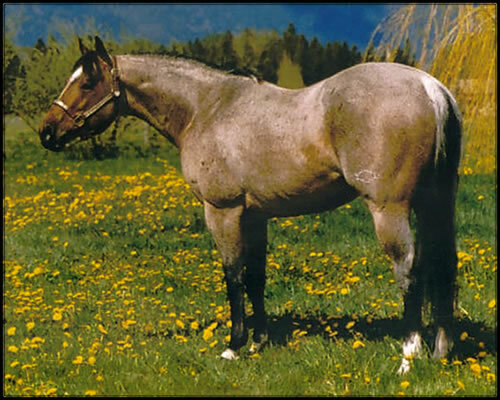 He was the 2000 and 2001 Canadian Supreme NRHA Open Reining Champion, 2000 Canadian Supreme Open Working Cowhorse Reserve Champion; 1998 Utah Classic Limited Open Derby Champion and Open Reserve Champion; 1998 MQHA Junior Reining Champion; 1999 Montana NRHA Open and Intermediate Open Champion, and was the 1999 South Country Slide-In Open Reserve Champion. He was Open winner at the 1999 Tri-H Fall Slide, 2000 Tri-H Summer Slide, 1999 Yellowstone Slide, 1999 Glacier Slide, and 1998 Montana Tri-H Slide; Intermediate Open winner at the 1998 Utah Classic, 1998 Montana Tri-H Slide, 1999 Glacier Slide, 1999 Yellowstone Slide, 1999 Tri-H Fall Slide and 2000 Tri-H Summer Slide, Novice Horse Open winner at the 1997 & 1999 Maheras RHA Futurities, 1998 Canadian Supreme and 1999 Tri-H Fall Slide, and was NRHA Open Reserve Champion at the 1998 Canadian Supreme Reining.